I offer a friendly flexible service for anybody looking for doggy day care, overnight weekend boarding and lovely long walks. 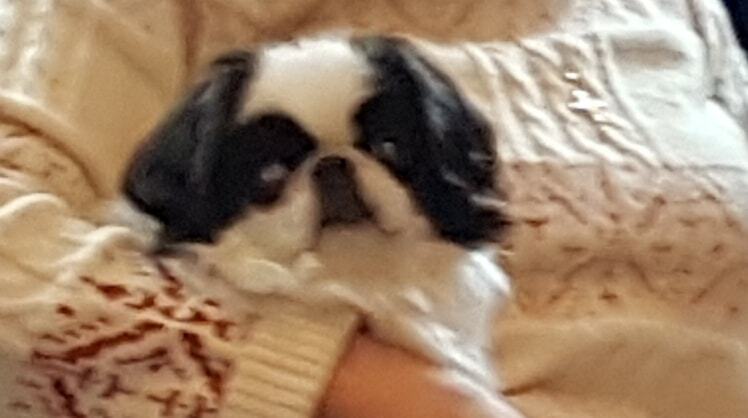 I have a very friendly Japanese Chin who loves other dogs, her name is Poppy. My home is a large 4 bedroom property, 3 reception rooms (one is just for the dogs) and I have an enclosed garden that is safe for the dogs to come in and out of the house as they please. All dogs that I look after are very much welcomed into my home and treated with love. My home backs onto the beautiful fourteen locks canal, and I love taking the dogs for walks and exercise. Long walks and short walks to suit each dog's needs are all catered for. I just like walking and being around dogs. I live alone and my visitors are only ever the grandchildren, who love greeting the dogs as much as I do and sometimes join me on the walks. Over the past 10 years I have looked after my daughters beagle and bichon regularly and love having a house full. I am happy to have dogs sleep free in their own dog reception room, some owners prefer a crate and I have a variety of sizes if thats is the preferred option, would ask that you bring a blanket with their own scents on when you drop them off please. Your dogs are your family so I make sure I treat them as I would expect my own family to be treated. I am happy to take your instructions as to their feeding patterns and sleeping preferences to ensure continuity of care for them. I am happy for you to come and visit me and acquaint with me and your dogs, please feel free to get in touch, I will be as flexible as I can around your needs. We were really pleased with the friendly service Tracy provided for us by looking after our loveable dog Stormi. Great communication throughout, lovely pictures and most of all the dog was well looked after. My 2 dogs came back very happy after a 2 day stay with Tracy. They had been walked lots and had clearly been spoilt with cuddles. All instructions about feeding and sleeping arrangements were followed which meant they came back home to the same routine which was great. Photos and updates of Bella and Jasper over the weekend were really reassuring. They lived the visit to the canal judging by the pics so will definitely use this service again. I love what I do, I love dogs and my house is their home. I am heading towards retirement and this gives me a lovely purpose and great company.